Ecosystems for employee development don’t require fancy technology or expensive custom development. What you need is a thoughtful plan and a culture of collaboration. What Is a Learning Ecosystem? Simply put, a learning ecosystem is an environment in your business that allows your employees, and possibly your customers, to learn and collaborate in the development of knowledge and capability. In large organizations this usually involves learning management systems, classroom training or eLearning, and other talent development systems. But what if you are a small organization with a small but committed group of people and less capability to embrace large, expensive systems or measures? Not to worry! You can still develop a culture of learning and collaboration. There are some key factors to deciding what and how to implement a system, but it doesn’t have to be expensive or complicated. What value are you trying to create with your learning culture? Who is your primary learner? You may immediately say, “the employees,” but consider their motivations for learning. Are they trying to do their jobs better? Learn about new products or innovations? Change processes or approaches to problems? Manage and motivate? All of these are different contributors and reasons for learning. You may want to create a “persona” for your different categories of learners. A persona is a characterization of your employee and what they see, think, and encounter on a regular basis – both the challenges and the opportunities. Starting with why they want to learn will help you to curate materials or suggest places for them to go to begin their learning journeys. The second why, of course, is the benefit to your business. Providing an opportunity to build a culture of learning and collaboration will help to foster growth and better understanding of your market and keep your people engaged longer. Think about what you want to accomplish from the perspective of product knowledge, sales capability, safety, leadership or other important elements you want to strengthen within your business. by tearing down a little of what they pre-conceived about the subject or problem and opening a space to consider alternatives or new information. So, building a learning ecosystem starts with having a place where your employees can share curiosity, lessons, advice and knowledge. This might be a regular meeting, a spot (electronic or physical, depending on the type of business you have) where they can post valuable information and collaborate, and making these sharing opportunities a regular part of your management coaching and reporting sessions. It can be as simple as creating a space in regular update meetings and assigning a rotation for people to show their work: what they’ve learned, or some insight into an existing product, customer or process. You can curate this in a SharePoint site, a dropbox, or a collaboration site. Include links to relevant and related ideas. But What to Include …? if you are in a professional or technical business. Place these in your ecosystem with links to the original site so that people can explore further if they like. You may even wish to bring in someone you work with – like your accountant, HR contractor, or product sales specialist – to conduct a lunch-and-learn or presentation to your team on a topic relevant to your business. Most professionals are happy to come and speak on their specialized knowledge. Just make sure you focus on what the employees will find useful and what helps them solve problems. Additionally, you might want to look outside of your industry. 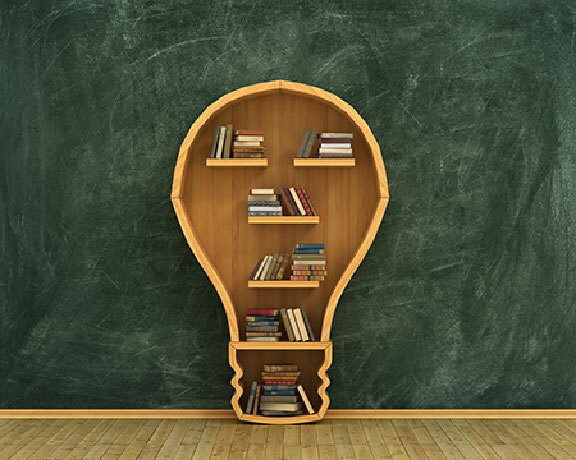 Even if you aren’t in their field, many professional associations have free or reasonably priced books, updates, and thought leadership that could apply to your company. For example, CPA Canada has an extensive collection of management and leadership resources that span much farther than just the accounting profession. You may want to include publicly-available learning activities and resources as well. For example, if you live in Toronto or in one of the larger metropolitan areas in Ontario, you can get a learning service from lynda.com for free as long as you have a library card! That’s right! Your local library is a great source for learning. Lynda (now owned by LinkedIn) is a fantastic source of video-based learning for many office applications, project management, some finance and leadership applications and even sales and business planning fundamentals. If you aren’t in a place that has this in the library system, you can access lynda.com through LinkedIn, or straight from the Lynda site, for a reasonable price. If you want a more organized learning experience, you can try MOOCs (massive open online courses) through a site like Coursera or EdX. These are open courses with timings and facilitators to help guide coursework. A huge selection of courses can be found in these places, usually presented by major universities or well-known experts in the field. Quite a good list of these places and courses is the MOOC List (www.mooc-list.com), which can help you find the right courses for your employees or yourself. The key to an ecosystem is that it is a system. You should think about your employees, your organizational goals, and your cultural aspirations for your organization. Pair this with a place for sharing and collaborating on development and problem solving. Finally, don’t forget to go outside of your own profession or core industry to gather and curate learning materials that will help you solve problems or challenges from a different perspective.